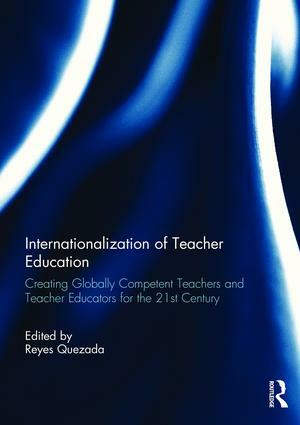 This book proposes to excite readers to engage in conversations on how Schools and Colleges of Education can internationalize teacher education programs so that graduates have global teaching experiences, that teacher education curricula include global perspectives, and that there are opportunities to have faculty think and teach from a global perspective. The contributions in this book are by authors who have the knowledge and expertise in international teacher education to answer many questions regarding the development of a 21st century competent global teaching force. They describe their experiences, programs, and support for the goal of continuing to internationalize Schools and Colleges of Education. The book is designed to be interactive - readers are encouraged to engage themselves in the conversation as the editor invites them to e-mail any of the authors to discuss questions posed. Questions addressed in this issue include defining internationalization, global teacher competency, hearing "voices from the field" as graduates and faculty share how internationalization has had an impact on teaching, program development, and professional and personal development. This book was originally published as a special issue of Teaching Education. Reyes L. Quezada is Professor in the School of Leadership and Education Sciences at the University of San Diego, USA. He has a doctorate degree from Northern Arizona University, USA. He has published articles, book chapters and edited journals on international teacher education, language and cultural diversity.